The modelling of diameter and height relationships during a forest inventory is often undertaken when a subset of tree heights is measured that will then be used to predict the heights of unmeasured trees. One such equation for doing this is the Petterson regression, but Log reciprocal and others have been used. The current regression types supported by PlotSafe and YTGEN are shown below. Assuming a credible relationship between diameter and height, then this is a common practice to reduce the assessment of tree height in the field. 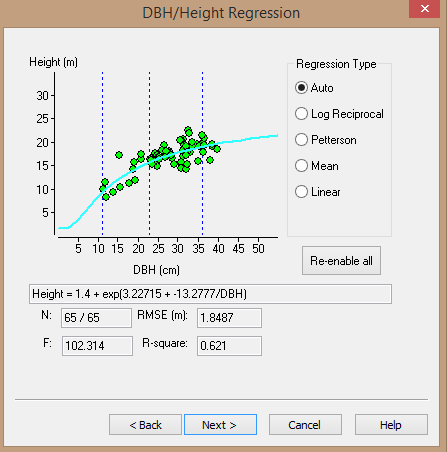 Figure 1 – Interface for applying a diameter / height regression in PlotSafe. However there are some trees that have heights that should not be used to predict the heights of other trees using a height-diameter regression and would not be predicted well from the height-diameter relationship of normal trees. Remember PlotSafe and YTGEN already consider dead and broken trees in this category and these are excluded as valid trees used to model the rest, but this is a new classification of a height tree type. The latest version of PlotSafe (version 1.5.4 and above) added the ability for a field crew to tag a tree height as abnormal. In these cases, record the height as for a normal tree then use Ctrl+U or Tools > Abnormal Height to record the fact that this height is abnormal. You cannot set the height to abnormal if the stem does not have a height. To remove an abnormal height, use Ctrl+U or Tools > Abnormal Height again. 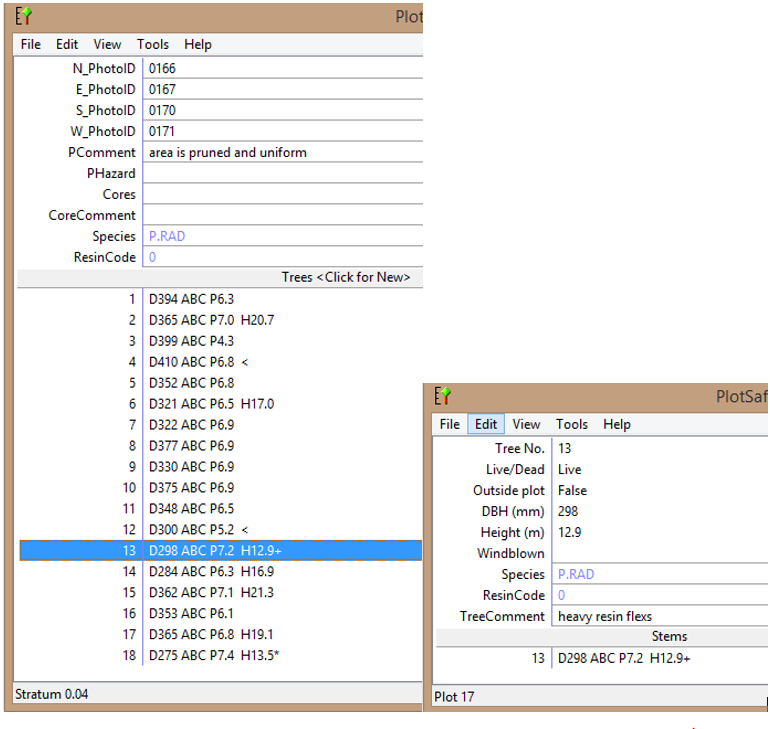 Figure 2 Abnormal tree (notice the smaller tree top icon compared to the typical large tree top in the stem description screen). 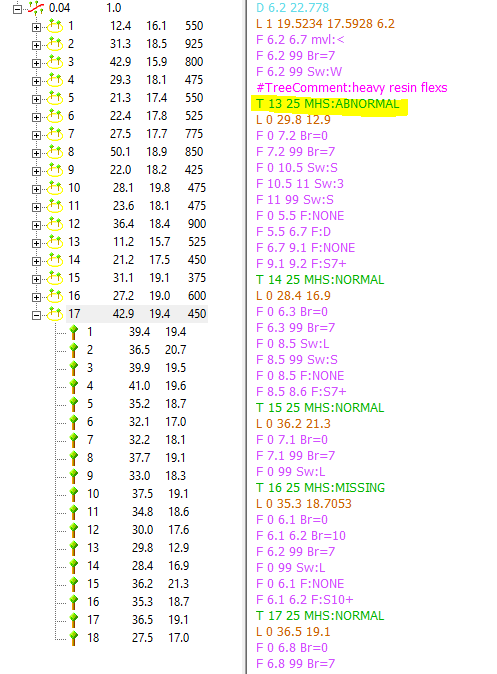 Figure 3 Abnormal tree denoted by a “+” symbol in the tree and stem list. In YTGEN population files these trees will be tagged with “Measured Height Status” (MHS) of Abnormal. If you want further information on when and how this should be used just contact one of our team. This was released in version 1.5.4 of PlotSafe onwards.